Are you torn between starting your degree at a college or at a university? Good news! 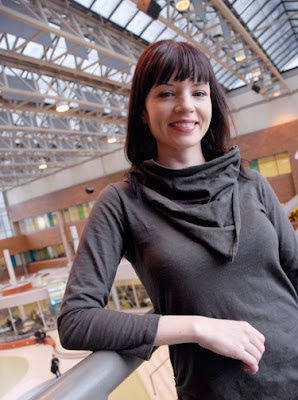 Douglas College and Simon Fraser University offer you the chance to get a bachelor of art or science degree from SFU – while taking classes at both institutions. Sonya Van Hove (middle) pictured with two of her colleagues. Sonya Van Hove, a graduate of the Douglas College Dental Assisting program, spent a month in Sierra Leone last summer providing dental care to people in need. Sonya worked onboard the Africa Mercy, a hospital ship operated by the international charity Mercy Ships. Read more about Sonya - who also went to Africa in 2009 with the Douglas College Uganda Project - and her experiences in the Surrey Leader. This week at Douglas: Student Research Day, free health sciences lecture and more! Led by an experienced instructor, mats provided. Presented by The Other Press. For more info, email the OP editor. Paintings by Mary Bennet and Louise Bunn. Till April 6. More info: Arts Events. Last fall there was a big kerfuffle when new research suggested that Einstein's theory of relativity may be wrong. To help us see through the whirlwind whipped up by the media frenzy, we asked Jennifer Kirkey, an Instructor of Physics and Astronomy at Douglas, to set us straight. She told us Einstein wasn't wrong. Now, an article published in Nature last week admits the researchers made a mistake. So there you have it. If you're planning on taking English as a Second Language (ESL) courses soon we have some good news! Starting this summer semester, ESL courses will be tuition-free to eligible students. This includes Canadian citizens, permanent residents, live-in caregivers and refugees. Monday, March 26, is the Fourth Annual Student Research Day, an opportunity for Douglas College students to share their research projects with their peers and the larger community. Doug caught up with a few of the participants to learn more about their projects. It’s on the effectiveness of “Scared Straight” programs. I have a background in youth justice and I'm finishing my CYC degree, so when I saw the Beyond Scared Straight TV show I was really curious about whether or not the programs actually work for keeping kids out of jail. So I thought I would conduct a survey to find out what people thought about the effectiveness of these programs. This invitation is for all Douglas College students. You're invited to chat with College President Scott McAlpine about what you love about Douglas, and what the College could be doing better. And while you're giving the President some ideas to chew on, you can enjoy some delicious food prepared by the College’s finest chefs. Please RSVP at Douglife to ensure food is ordered for all attending. Space is limited, so book the date now! 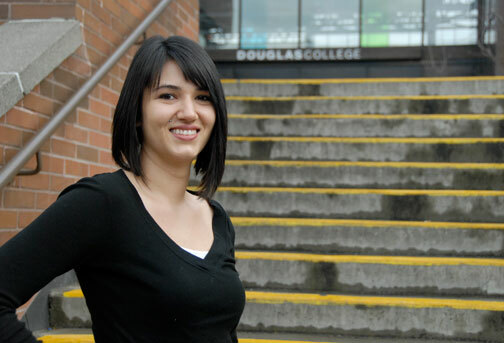 The President's got a plan for Douglas College to become the largest and most progressive baccalaureate degree-granting college in B.C. Sounds impressive, right? But what does that really mean for students, you might ask? Seriously, go ahead and ask him! Chances are, he'll say it means you should feel engaged in every way with college life, especially academically and intellectually. And he'll say it means you should get the highest quality teaching. So, are you feeling engaged? And what does quality teaching mean to you? What do you love about your experience at Douglas? What could the College do better? Conversation and dinner with the President. Hope to see you there! Douglas is in the process of nominating student representatives to the Education Council and the College Board for the 2012/13 Academic Year. What are the Education Council and College Board? The College Board’s work focuses on institutional policy and strategic leadership for the College. The Education Council is charged with setting the curriculum and academic standards of the institution; essentially the programs and courses we offer. They are both important governance bodies that play a key role in shaping the direction and policy of Douglas. How many student positions are available? There are two positions for the College Board. The term of office is one year, commencing September 1, 2012 and ending August 31, 2013. To be eligible to be nominated for either the College Board or Education Council, you must be registered in at least one credit course and be in good academic standing. The Registrar is accepting nominations until March 27, 4pm, so be sure to get your name in ASAP. After we receive all the nominations, all students will be asked to vote online to elect their Board and Council representatives. For more info Get involved and stay tuned for the election! If you have any questions, contact the Registrar’s Office at 604 527 5478. So we can ensure sufficient space and light refreshments, please contact Board Executive Assistant Shelagh Donnelly at 604 527 5388 to register for one of these forums. Mike: Our study is to prove there's a correlation between children engaging in physical activity or sport, organized or unorganized, at an early age, and achieving a high socioeconomic status. In layman's terms: If kids play sports or participate in physical activity, they have a better chance of getting a higher education and doing better in life. It’s about informal caregivers’ stress and its impact on their social, physical, emotional, cognitive and spiritual well-being. The question that guided my research is, “How does informal caregiver stress affect each domain of wellness?” I attempted to answer this question by examining the experiences of six women who were currently caring for their ill or disabled parent. This week at Douglas: EVENT book sale, free film screening, eco-friendly pest control lecture and more! The session will provide you with networking tips, interview tips, CACEE writing, etc. The event is for students going through Fall recruit this September. More info: Douglas College Business Association website. Come celebrate Narouz, Persian New Year! See the seven symbols of the Persian New Year, see a traditional dance and more. Stock up on books, magazines, CDs, DVDs and more at the annual sale to raise money for EVENT, Douglas College's award-winning literary publication. Enter The Other Press's writing contest! 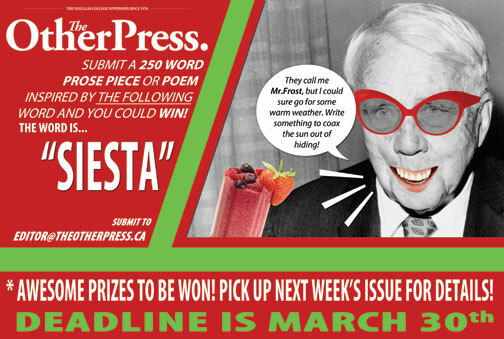 The Other Press, your student newspaper, wants your creative writing! Send in a 250-word piece of prose or poetry inspired by the word "siesta" for the chance to win excellent prizes. Submit your entries by email by March 30. For more info visit the OP on Facebook or follow them on Twitter. Want to help ensure that Douglas College will be playing baseball for years to come? All you have to do is shop at the Pharmasave located in Columbia Square just south of the New West Campus Tuesday, March 20. On this day Pharmasave will donate a percentage of all sales to the Douglas College Royals men's baseball team. So mark the first day of Spring on your calendars and shop at Pharmasave. Thanks for supporting Douglas College Athletics! 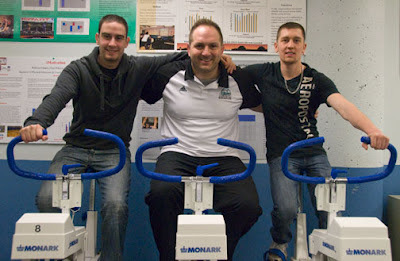 For more information visit the Facebook page of the Douglas College Centre for Campus Life and Athletics. Michele Sam is Ktunaxa, a cultural and linguistic isolate group to the world. 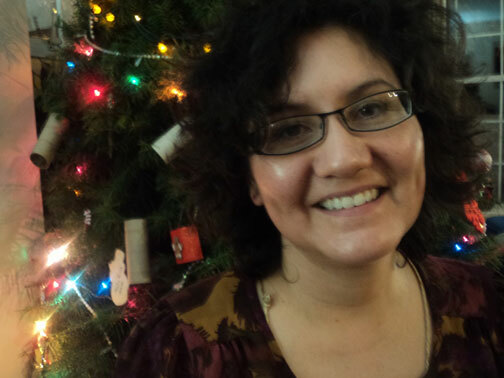 As the Senior Aboriginal Researcher for the Human Early Learning Partnership (HELP), Michele researches and addresses the work of building and supporting local initiatives in the First Nations communities. The focus of HELP is research with a focus on ensuring that children and families flourish. Michele acts as a resource both nationally and internationally and is a dynamic and engaging speaker. Please RSVP Lexie Flasch by email. The talk is free and open to the public. Light refreshments will be served. Recently I and three other former British Columbia attorneys general called for marijuana to be legalized. To be clear, we are not merely advocating decriminalization; we are going further and arguing for outright legalization. How would you like to discover the jewel of the Caribbean, get up close and personal with Mayan civilization, explore jungles, pyramids and coral reefs – and earn college credits at the same time? Next week you’ll have a unique chance to get into their heads at the Fourth Annual Student Research Day, an opportunity for students to share their research activities with their College peers and members of the community. Student Research Day take place Monday, March 26, 10am-2pm at the New Westminster Campus (concourse). To learn more about Student Research Day, visit the web page. 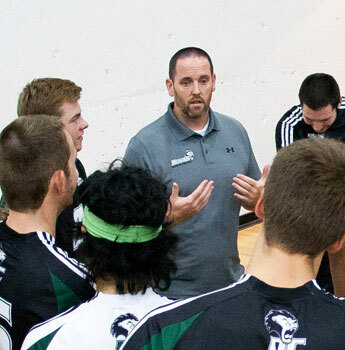 Brad Hudson, head coach at Douglas College, was named the 2012 Canadian Colleges' Athletic Association men's volleyball coach of the year last week. Congratulations to Brad and the Royals on an outstanding season! This week at Douglas: Yoga, theatre, art and more! Join the Douglas College Business Association for an evening of networking with CGAs from different industries and explore the career opportunities with various employers from our CGA Partners in Employment Program (PEP). Register on the DCBA website. The Douglas College Business Association presents speakers Joanna Pearson, Audit Partner at Deloitte and Colin MacKinnon, BCACC Sr. Vice President. This event is at no cost to students and there will be refreshments provided following the speeches. Register on the DCBA website. Q&A session with Andrew Solnordal, Regional Vice President, G&F Financial. We will discuss the ins and outs of the finance industry and what it takes to succeed in it. Get more info or register. Come out to this free workshop (for registered students) to discover your interests,learn how to do career research and figure out what you want to do with your life! We'll meet on March 7 (9-11am) and March 14 (9-11am) and students need to be able to attend both sessions. Free yoga at Douglas College! What's not to like about stretching and deep breathing, especially when it relieves stress, clears your head and makes you healthier and happier? With that in mind, The Other Press is offering yoga every Monday this month. Classes are free, and students, staff and faculty are all welcome! For more information, email the OP. 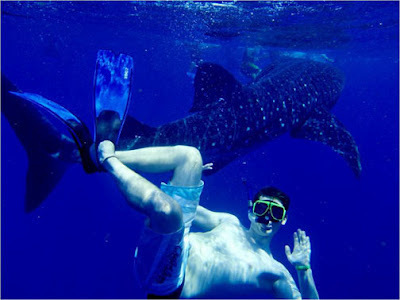 Do you prefer your Shakespeare a little Left Coast, a little Lotusland? Interested in learning about local agriculture's green approach to controlling pests - and what Douglas College is doing to help? On Thursday, March 22, Douglas will present its research on non-chemical, ecologically friendly approaches to pest control in B.C. agriculture at a free public talk. 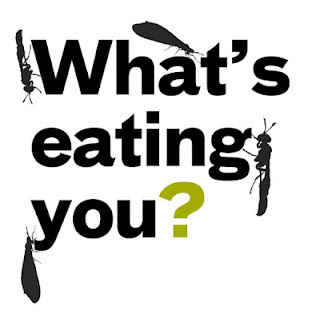 What's eating you? Biological control of insect pests in B.C. greenhouses will be presented by Rob McGregor, head of the college’s Institute of Urban Ecology, who will discuss research done over the past two years at Douglas on organisms which may be effective in controlling pests in B.C. vegetable greenhouses that produce tomatoes, peppers and cucumbers. 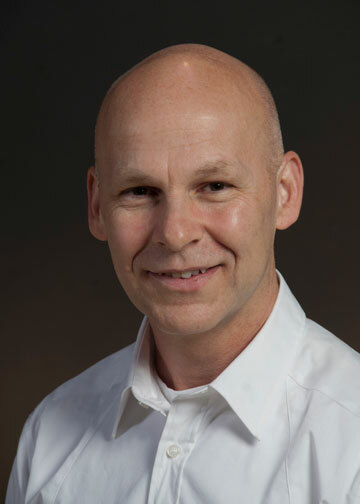 Rob will also talk about Douglas College’s partnerships with the BC Greenhouse Growers’ Association and companies that produce biological control products for sale to greenhouse operators. 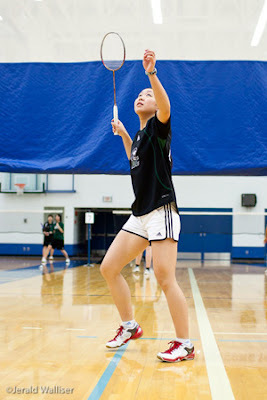 RuiLin Huang was named the 2012 CCAA Women’s Badminton Player of the Year for the fourth year in a row. Last week the Royals men’s basketball team took part in the PACWEST Provincial championships at Capilano University in a good old fashioned affair. However, the sixth-seeded Royals came up just shy against the number three Camosun Chargers in a 68–62 contest, finishing off their season earlier than they had hoped. 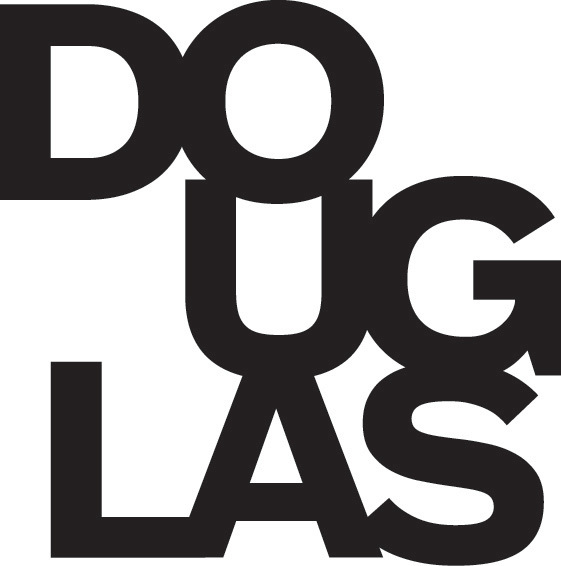 This week at Douglas: Celebrate Douglas College's new look, buy shoes for a good cause, donate blood and more! It's your opportunity to explore your future! Meet with perspective employers, find out about potential career paths, get job search advice and more. More info: doug: the community blog. Come out to this free workshop (for registered students) to discover your interests, learn how to do career research and figure out what you want to do with your life! We'll meet March 7 and 14 (9-11am) and you need to be able to attend both sessions. If you are interested in becoming an accountant or simply curious about a career in accounting, join the Douglas College Business Association (DCBA) for a Certified Management Accountants Information Session. Please register now. (it's mandatory). Free pizza and pop will be served! Want to donate blood? Now’s your chance! Get more info on doug: the community blog. With Sal Ferreras, percussionist, producer, educator and ethnomusicologist. Presented by the Douglas College Hispanic Cultures speaker series. Come celebrate Douglas College's new look! 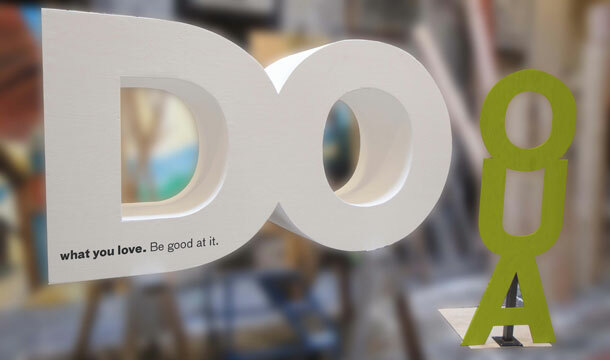 You've seen our big "DO what you love" campaign on campus and at bus and SkyTrain stations around the Lower Mainland. And now you're invited to join us in celebrating everything that Douglas College stands for! Come to the New West Campus concourse Tuesday, March 6, 11:30am-1:30pm, or the Coquitlam Campus atrium Thursday, March 8 (same time). Post a message on our gigantic "DO" for some free goodies, and a chance to win a Douglas College hoodie, vest, water bottle or key chain, while supplies last. The event is open to students as well as faculty and staff. 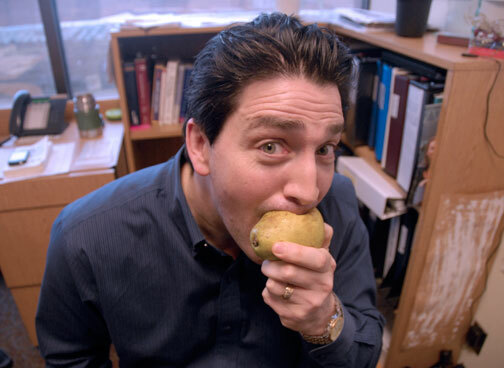 Sean Kelly has traded in chips and Tim Horton's bagels for squirrel food, such as fruits and nuts. You may have noticed something different about Douglas College lately - a new sparkle in its windows, a spring in its steps. Douglas is shaping up. Five weeks ago, 200 students, staff and faculty signed on for the Biggest Loser and the Health and Wellness challenges, run by Douglife. Good comedy can be a real shot in the arm. 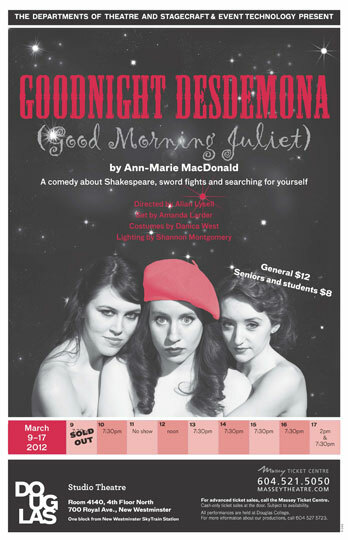 This month, get your dose of humour right in your own backyard with Goodnight Desdemona (Good Morning Juliet), the latest production by the departments of Theatre and Stagecraft & Event Technology at Douglas College (March 9-17). 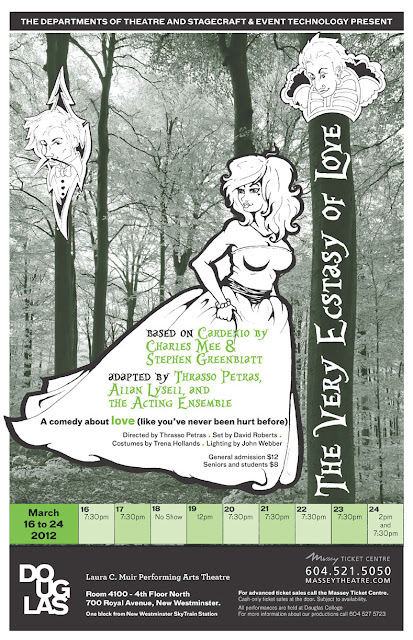 Goodnight Desdemona is the story of Constance, a modern-day academic who, after her professor pans her doctoral thesis on Shakespeare, finds herself transported into the Bard's world, where she inadvertently sends his stories in hilarious new directions - and finds her true self along the way.